You can reinstall Carbonite after signing into your account on our website. From there, choose the computer to reinstall and select Reinstall on this computer from the Computer Actions drop-down box. 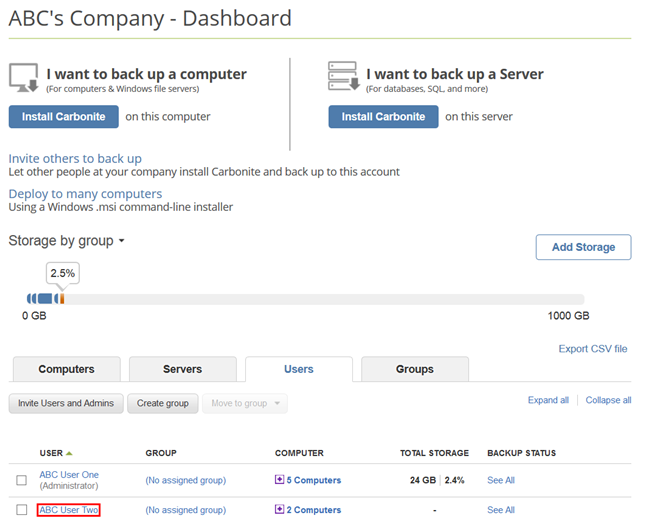 If you reinstall Carbonite, you do not have to restart your backup from the beginning again, nor will any backed up files be removed from our servers. If your backed up files aren't present on your computer, they will be removed from our servers 60 days after resuming your backup. If Carbonite is already installed on your Mac, please uninstall it first. Sign in to your account at https://account.carbonite.com. If you have signed in as an Administrator, please select your user name from the Dashboard. After selecting your user name from the Dashboard, you will be brought to your user page. Once this page loads, locate your computer and select Reinstall on this computer from the Computer Actions drop-down menu. On Internet Explorer 7 or 8 - open Windows Explorer and navigate to where you selected to save the file. Double-click the Carbonite file to run the installer. On Internet Explorer 9, Google Chrome and Firefox 3 and above - press CTRL + J on your keyboard to open your Downloads window. Alternatively, press Windows Key + R (to open the Run box), then type "Downloads" and press OK.
Double-click the Carbonite file to run the installer. On a Mac running Safari - press Option + Command + L on your keyboard to open your Downloads window. Double-click the Carbonite package to run the installer. 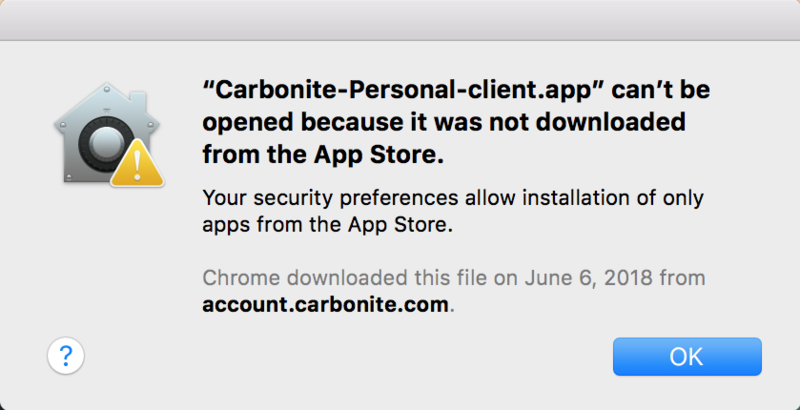 If you tried to run the Carbonite setup file on your Mac, you may need to allow Carbonite through Gatekeeper. Once reinstalled, you can perform backup or restore operations at any time.